Unexpected computer and server failures are costly. We prevent many network failures from ever happening with our proactive managed services solution and keep your critical IT systems working properly so your office can stay productive. By combining regular preventative maintenance and comprehensive real-time monitoring of your critical network and desktop services, we ensure the reliability and stability of your IT assets. A regularly maintained network means fewer failures, yielding higher productivity and savings on support costs for you. At the same time, your exposure to security risks is dramatically lessened, and frustration from the unstable IT resources almost vanishes. 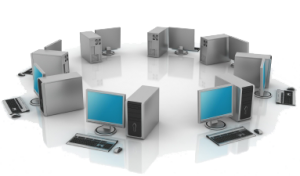 We allow our customers to focus on their core business functions by taking the worry out of owning a computer network. Our proactive maintenance systems put us in constant touch with your IT assets, allowing us to provide you with better care and uptime than even a full-time in-house network administrator.